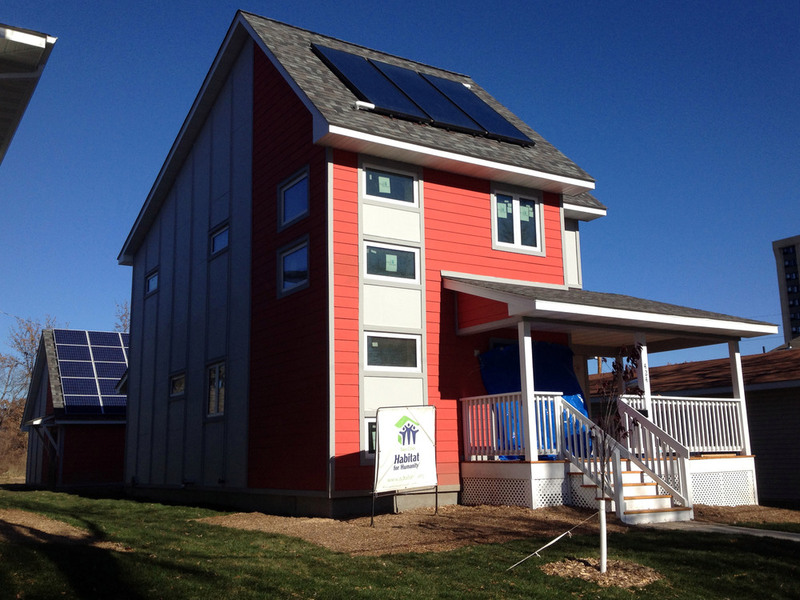 The Northside Net-Zero Project (NSNZ) is a unique collaboration between architecture students, non-profit housing partners, and residents of Northside Minneapolis. The semester-long course, offered at the University of Minnesota College of Design in Spring 2012, is led by Lucas Alm of Alm Design Studio and research fellow Dan Handeen. Over five months, students will explore the nature and feasibility of affordable, zero-energy single family homes—not only as a benefit to their residents, but for the vitality of the community as a whole. The project is a rare chance for students to engage with neighborhood residents and affordable housing advocates as they work at the leading edge of home design. Goals for the project were determined with input from our partners Project for Pride in Living and Twin Cities Habitat for Humanity, including budget constraints and stringent energy-use requirements. At the end of the course, students’ final proposals will be used to help create the Hawthorne EcoVillage, a sustainable, multi-use urban development that can become a catalyst for similar projects locally and across the country.